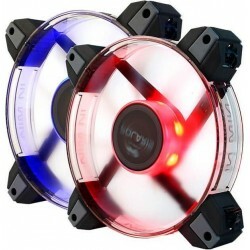 The Corsair Air series AF140 high airflow case fans combine custom-molded fan blades with striking LED lighting, that creates high volume air delivery with low noise and turbulence along with beautiful LED lighting for dramatic effect. The Corsair Air series AF140 creates high airflow which means it is great as an exhaust fan at the top, or rear of the chassis whilst being ideal for use as an unrestricted intake fan on the side or bottom intakes. 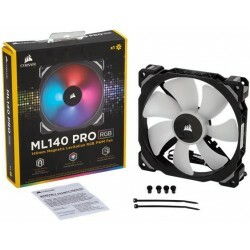 The AF 140 fan models are specially designed to outperform the standard case fans with custom moulded fan blades and sleeved bearing system to reduce vibration for quiet operation.